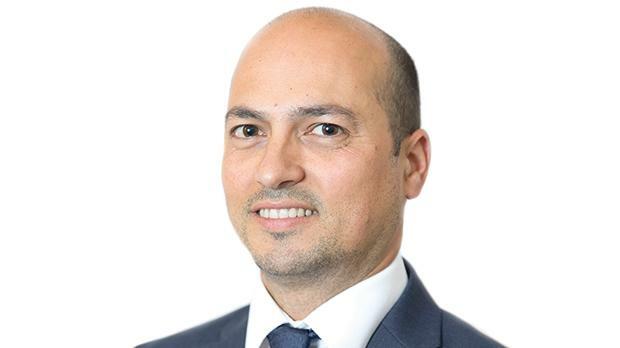 A keen understanding of technology has been woven into the DNA of our law firm, says Steve Muscat Azzopardi, senior manager, corporate and fintech at Chetcuti Cauchi Advocates. Blockchain is synonymous with virtual currencies – however the truth is that crypto is only one use of this innovative technology. While blockchain or Distributed Ledger Technologies (DLT) may transform the way we bank, invest, and carry out payments, they are far more than that. Blockchain decentralises information and ensures a high standard of security, so it lends itself well to numerous applications and industries. Governments are looking at DLT as the potential future of public administration, from registries including automobile, maritime and land ownership to elections, health care and education. The highest private sector investment in blockchain so far appears to be in logistics and supply chain management, however there are hundreds of business case uses. Companies from various sectors, ranging from health, property, transport and education stand to benefit from the implementation of this technology to their distributed processes. One extremely interesting use of DLT is smart contracts, or agreements written in programming code that self-execute once certain trigger events take place. Smart contracts are a combination of natural language contracts (say English) and computer code, because one is essentially creating a series of commands that execute automatically when pre-defined trigger events take place. The paper and code need to match: in fact the ITAS Act that comes into force this week holds that natural language prevails over software code. Lawyers who assist with drafting smart contracts need to become a lot closer to software developers or indeed may need to learn coding to ensure the proper smart contract reaction to every triggering action. Beyond smart contract implementation, there will be new challenges to overcome. Computers do not understand fine distinctions in the way humans do. This is not just a problem for lawyers to worry about – courts will also have to be prepared for these situations. For instance, how will disputes be settled when an unforeseen event nullifies the terms of the smart contract that has already correctly self-executed because the trigger events all took place? How are you, as Chetcuti Cauchi Advocates, catering for this disruption, through your service offering? Our Fintech Practice has over a decade of experience in assisting clients through legal matters and licensing processes, ranging from iGaming operations to Electronic Money Institutions (EMI) and Payment Service Providers (PSP). In fact, our firm assisted the set-up of Malta’s first cryptocurrency exchange back in 2014, long before this became trendy. Chetcuti Cauchi Advocates is a leading law firm within the fintech industry, where our senior partner Dr Priscilla Mifsud Parker and myself lead the corporate and fintech teams and are actively advising clients to navigate through Malta’s ground-breaking regulatory regime. As a legal firm, do you need to build internal knowledge to cater for blockchain? As a law firm we are unique in that apart from our lawyers we also have a fully-fledged management team, led by a CEO with a background in the IT and fintech industry. This has proved a distinct competitive advantage as a keen understanding of technology has been woven into the DNA of the firm for a number of years now. Needless to say, we will continue to invest in our team and seek quality talent with the right mix of skills to assist clients to drive forward this innovation. How will regulation affect you? To fully support our clients, we have notified the Malta Financial Services Authority of our intention to apply to be a registered VFA agent as soon as the legislation permits us to do so. This required not only a capital commitment but also the skills as determined by the MFSA through the VFA Agent course and exam. This will permit us to act as VFA agent and represent clients with the MFSA and assist with their licence applications and ongoing compliance. We have worked hard to build on our success at several local and international conferences and are proud to launch already the first supplement to the Blockchain Jurisdiction Report that we rolled out in the last month.